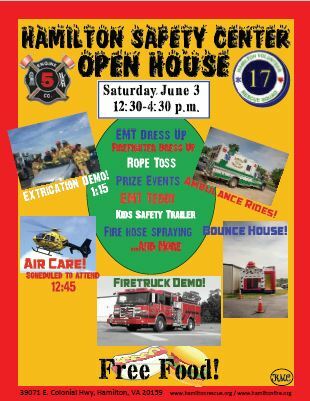 Come join us for this year’s Open House at the Hamilton Safety Center! Save the date: June 3, 2017 from 12:30pm to 4:30pm. Bring your friends and family! See some photos of our 2016 Open House here! After the annual Waterford Fair was canceled in 2015 for the first time in 70 years due to bad weather, the popular event was back again this year from October 7 to 9. 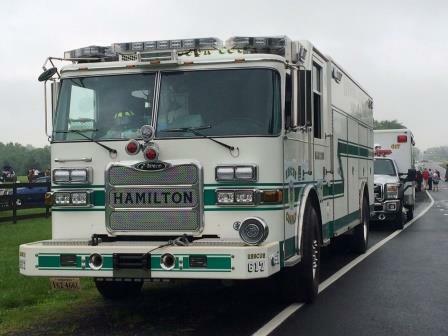 Volunteers of the Hamilton Rescue Squad were on stand-by at three locations throughout the village. The fair is traditionally attended by a large number of people who enjoy a stroll along the many arts and crafts booths. 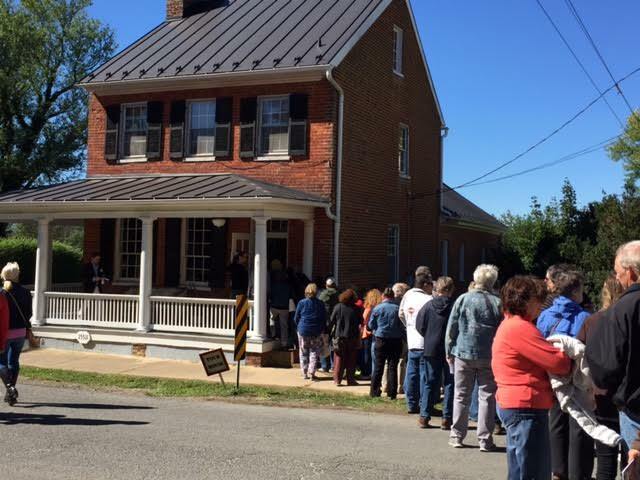 Observing artisans hand-crafting their goods is an interesting part of the event for children and adults alike, as are the historic village buildings that can be toured, and the Civil War reenactments. 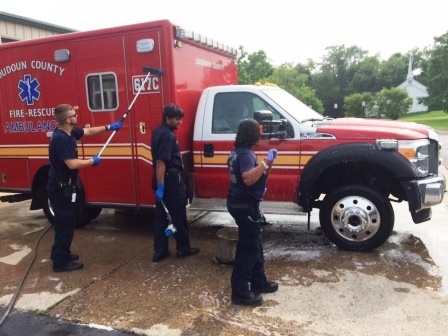 A group of HVRS members staffed our Gator as well, a small versatile vehicle used to swiftly get to patients in crowded areas. 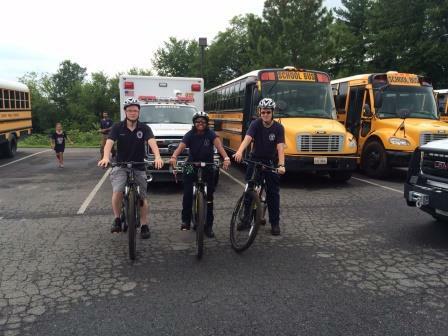 This enables our EMTs to begin rendering medical care until the ambulance crew arrives. 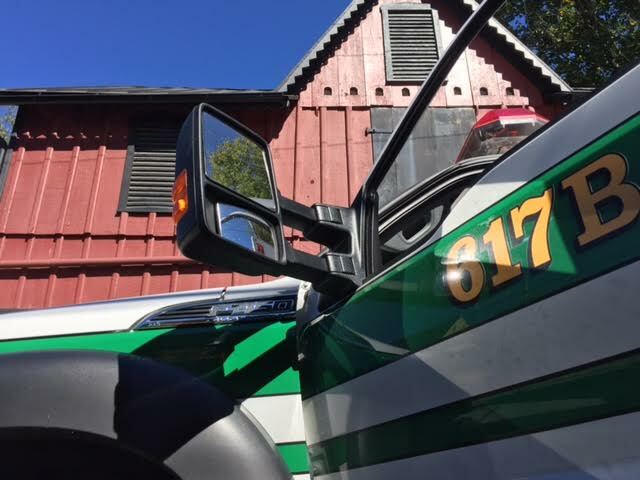 Our members, along with the support of two paramedics from nearby stations, volunteered a total of 273 hours during the 2016 event weekend. If you wish to become part of our dedicated team, head over to the volunteer application page. For more information on the Fair visit the Waterford Foundation website. Next year’s Waterford Fair is scheduled for October 6-8, 2017 (Columbus Day weekend). See you there! 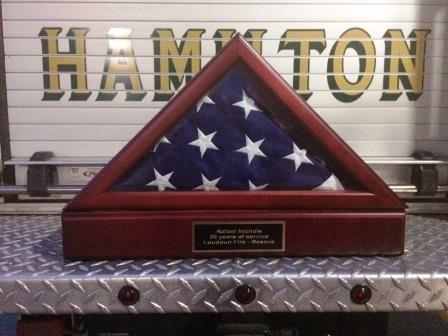 On April 16, 2016, members of Hamilton Rescue responded for a reported OB call on the side of route 704. 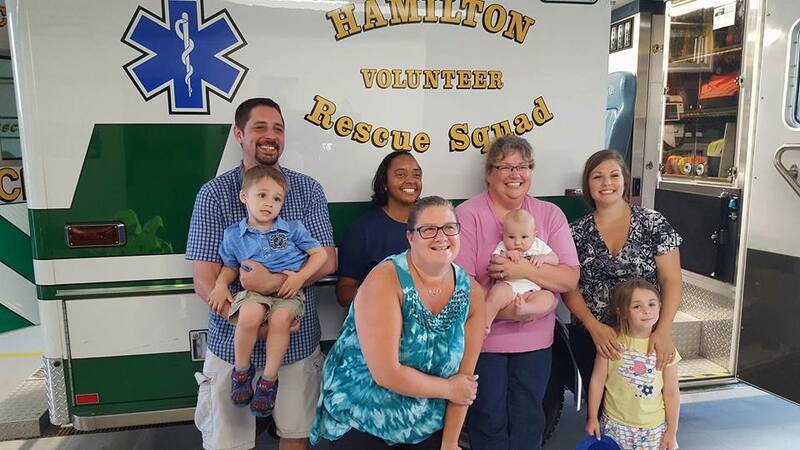 Our members arrived on scene and helped deliver baby Wesley. 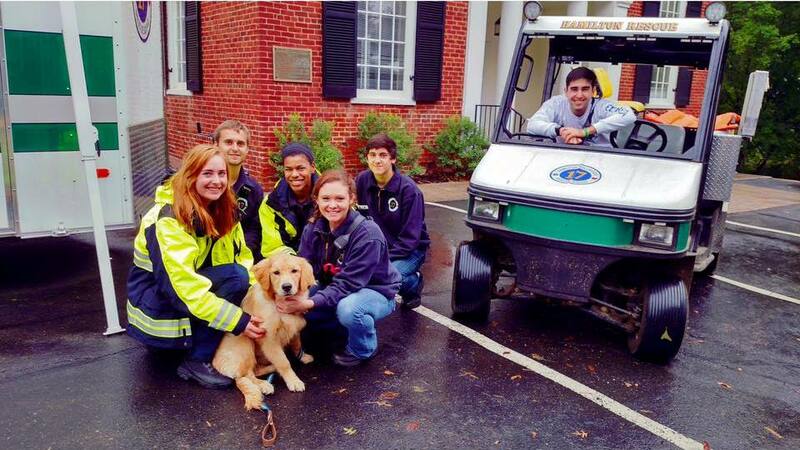 Today, four month old Wesley and his family stopped to say Hi to the crew who delivered him! Great job, Saturday crew! EAP – The law allowing counties to pay for EAP benefits for volunteer companies was passed. Loudoun will begin providing the same EAP benefits given to employees in July. More to come. Should we send a thank you letter to Chief Brower? Roof – BOD wants our lawyer to look at the situation and advise us on our options before we make any decisions. Budget – The BOD will meet this month to set the proposed budget for 2017. Implement a three year rolling average to avoid large changes. Looking at the impact of Capital Investment Planning at companies (equipment and facilities) and how that should be factored in. Estimate 4th quarter numbers to ease burden on companies at the end of the fiscal year. Equipment Report: see Chief’s report – big bill coming up. Logan – has decided to resign due to medical issues. He will re-apply when he has recovered. 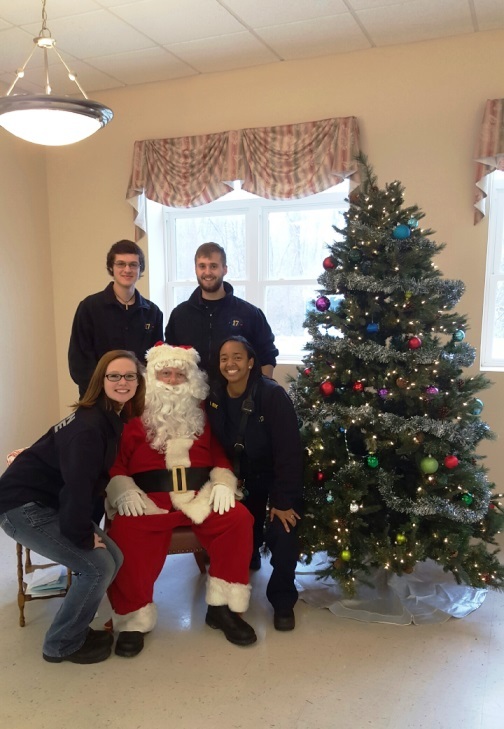 The annual, well-loved Breakfast with Santa was held on December 12, 2015. 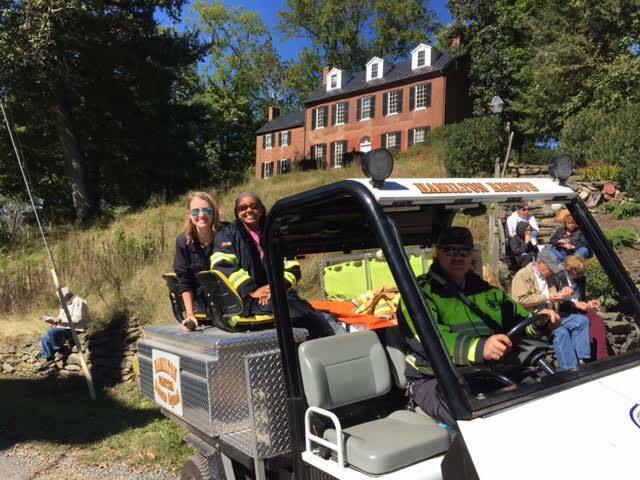 We thank the visitors for attending and the members of the Safety Center Auxiliary for making this a fun and enjoyable event. 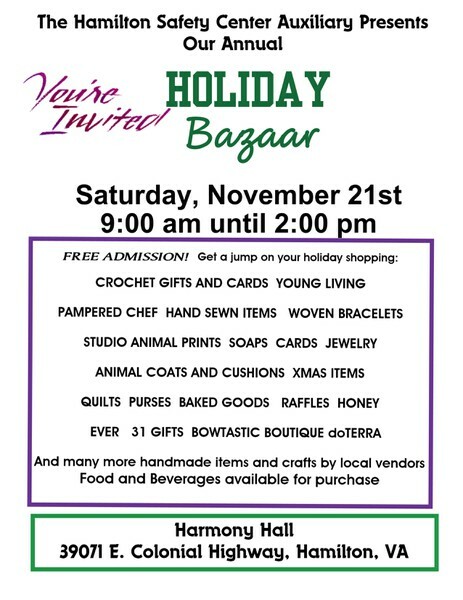 Stop by at Harmony Hall this Saturday, November 21, from 9:00am to 2:00pm to get your holiday shopping done early! The Ladies’ Auxiliary are putting on their popular, annual Hamilton Safety Center Auxiliary Holiday Bazaar. With a wide variety of items such as quilts, jewelry, baked goods, soaps, and many more, there’s sure to be something for everyone. See our flyer for more details and come to the Bazaar this Saturday! Congrats to our newest medic! We are excited to announce that one of our volunteers, Kelly Frye, has successfully completed the EMT-Intermediate program! After several months of classes, practice, and clinical rotations, Kelly received her certificate during the graduation ceremony on July 30, 2015. Our new medic Kelly with the Assistant Chief Curt Newport (l.) and Chief Rodney Krone (r.). Congrats to one of our wonderful members, Rafe Nichols! 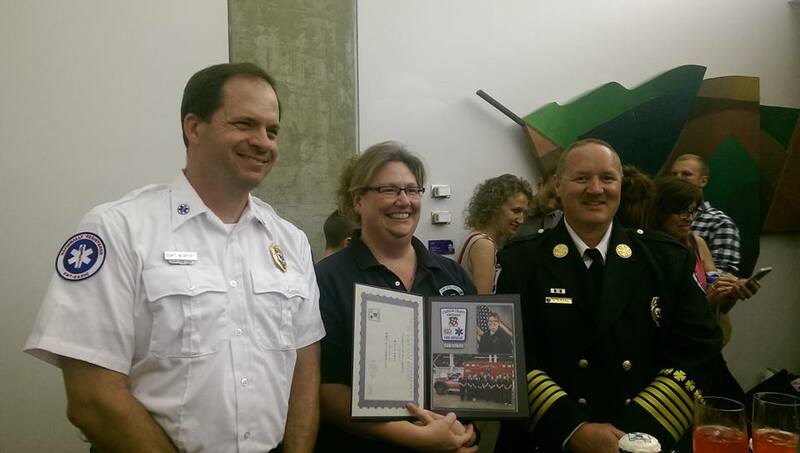 She was recently recognized for her 20 years of volunteer service in the Loudoun County Fire-Rescue system. We are very fortunate to have such committed members here at Company 17 and thank Rafe, as well as our many other hard-working volunteers, for their dedication. 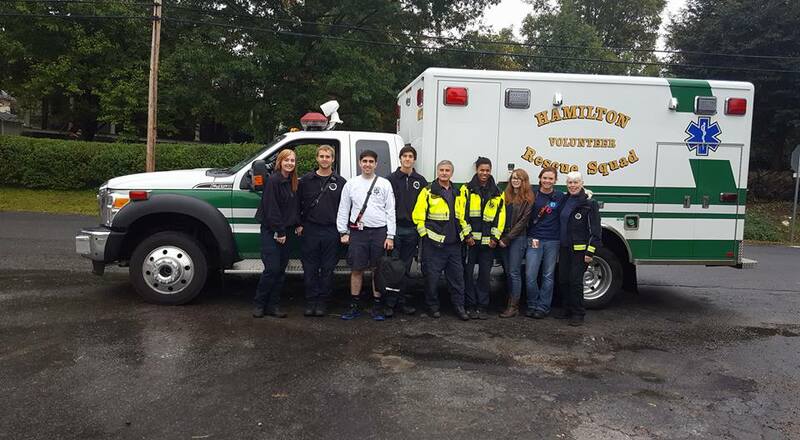 In keeping with traditions, volunteers of the Hamilton Volunteer Rescue Squad participated in the Purcellville and Leesburg parades again this year. 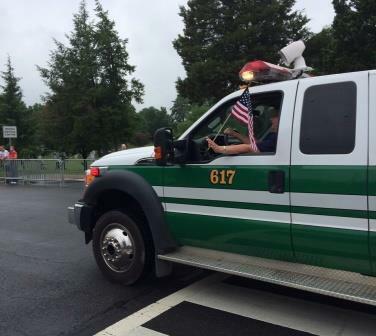 Volunteers bringing the apparatus to a shine prior to the parades. Our members joined the parades with ambulances and the squad truck as well as our boat. The bike team was also present to round it all off. Despite the poor weather, the turnout was great! At the beginning of the parade. Just before start of the Leesburg Parade. 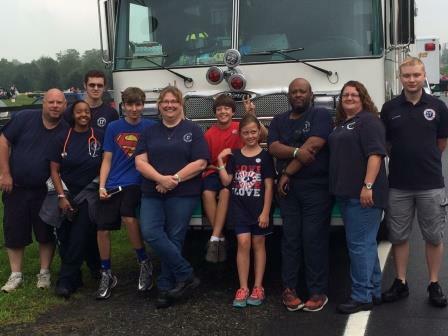 Our volunteers took part in this year’s Firefighters Parade at the Shenandoah Apple Blossom Festival on Friday, May 1, 2015. The parade is the largest and also among the oldest annual Firefighters Parades in the world, and this was the 88th time it was held. 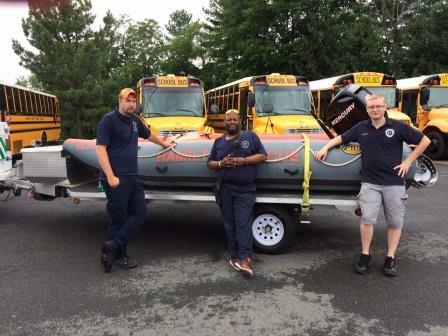 The company was represented with the Utility vehicle and rescue boat. 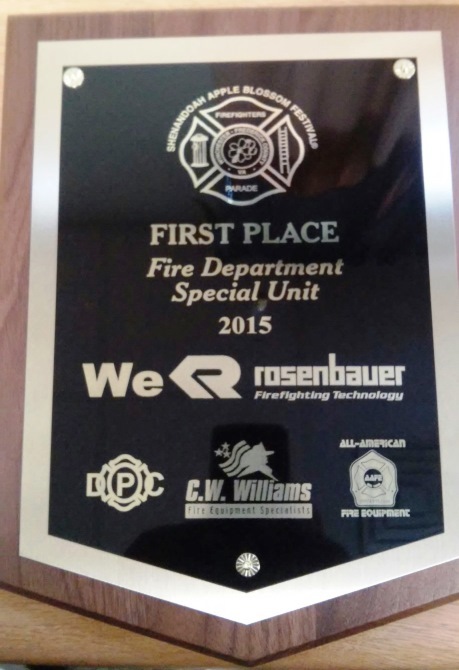 We’re happy to report that our apparatus received 1st Place in the category “Fire Department Special Unit”. Congratulations!